Lewis Hamilton and Sebastian Vettel came into contact with each other on the opening lap of the Italian Grand Prix, causing the Ferrari man to spin. 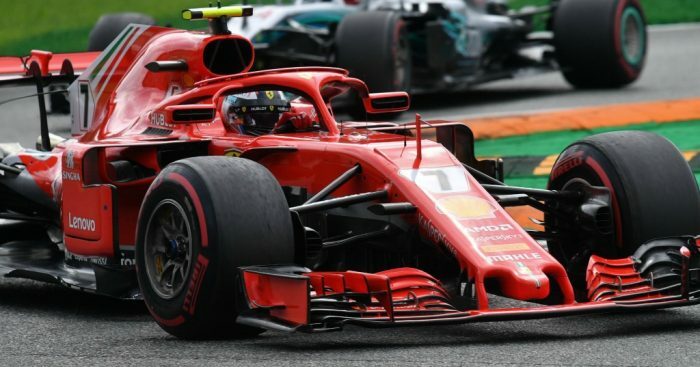 Hamilton went on to win the race, having overtaken Kimi Raikkonen with eight laps to go at Monza, extending his Championship lead to 30 points from Vettel. Meanwhile, Daniel Ricciardo suffered another engine issue, despite running the “improved” Renault C-spec engine for this weekend. 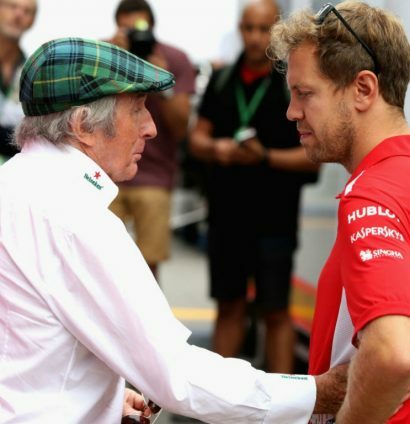 Sebastian Vettel received a pre-race pep talk from Sir Jackie Stewart in the Monza paddock. The German was fuming after towing his team-mate to pole position on Saturday. Amongst the other famous faces in the paddock was Manchester City and Argentina striker Sergio Aguero. There was rain in the air at Monza, as there had been all weekend. However, the forecast believed it was going to be a dry race. A special anniversary! 🎂 Celebrating 400 races for the @MercedesAMG @F1 Safety Car!! 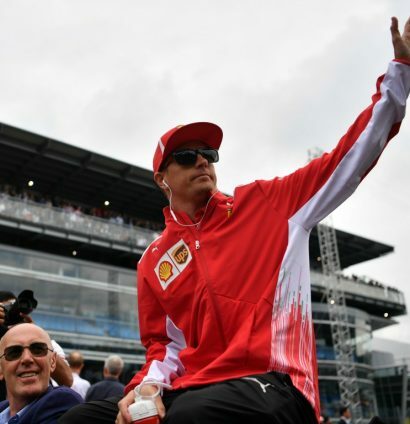 On the driver’s parade, the pole sitter Kimi Raikkonen looked pretty calm. It was Kimi from the front, and Daniel from the back and the Australian was ready. Meanwhile after having a huge shunt on Friday, Marcus Ericsson was hoping to celebrate his birthday with a better result. At the start, Kimi Raikkonen kept the lead, while the two title rivals collided at the second chicane. Vettel span round and ended up at the back. 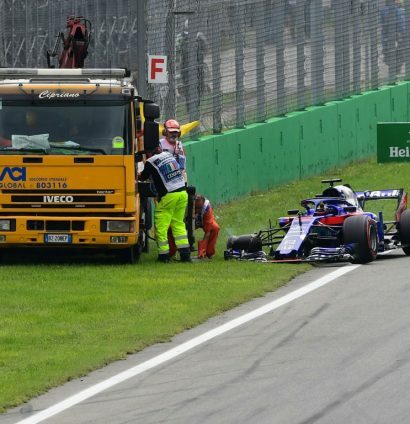 Brendon Hartley retired on the first lap after contact with both Stoffel Vandoorne and Marcus Ericsson on the run down to Turn 1. Fernando Alonso then became the second retirement, for another engine issue. His farewell tour is going well. Two races, two retirements, not even 11 laps completed. 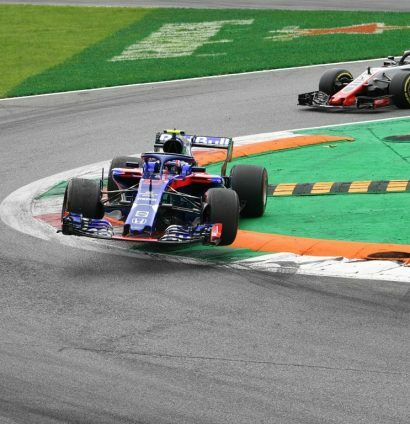 While one Toro Rosso had retired early on, the other was flying (literally). Meanwhile, Lewis Hamilton made the move past Kimi Raikkonen to take the lead, and leave the crowd deflated. It would be the Brit that went on to take victory by nearly ten seconds from Kimi Raikkonen, with Valtteri Bottas finishing on the podium. Max Verstappen finished P3 on track, but was relegated to P5 after that incident with Bottas, as Vettel and the Finn finished within five seconds of the Dutchman.